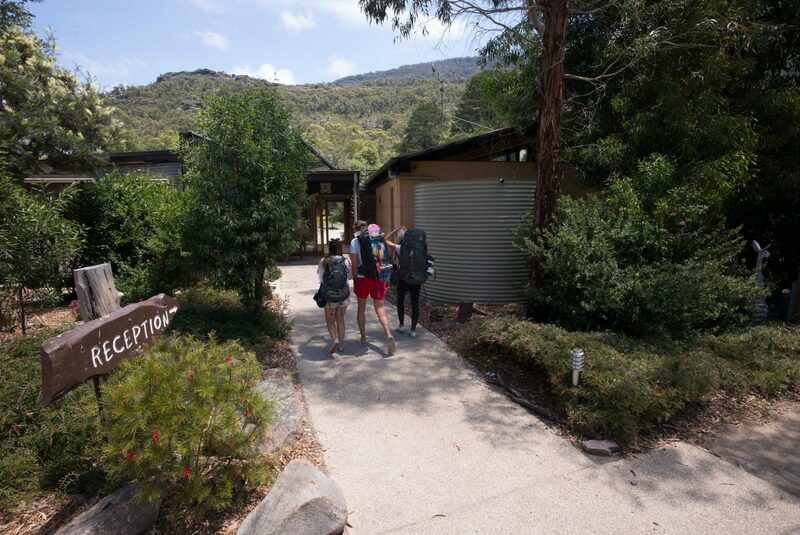 Grampians Eco YHA hostel is environmentally friendly, budget accommodation in Halls Gap, close to all the attractions of the Grampians. 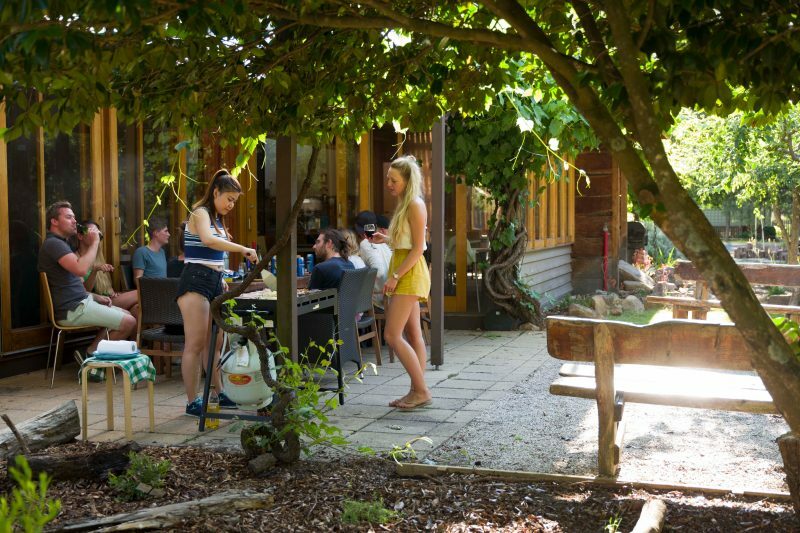 The hostel is a comfy, friendly place to stay. It has two fully equipped kitchens, and two spacious lounges with wood heaters as well as an outdoor courtyard with fire pit. 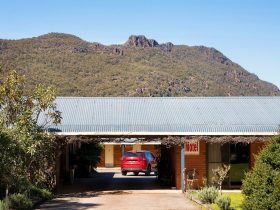 The friendly staff can assist you in organising a range of adventure activities in the Grampians, such as abseiling, rock climbing, horse riding, and canoeing. 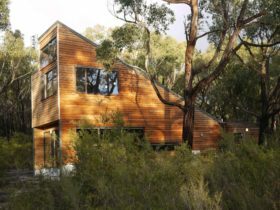 The YHA was architecturally designed to utilise solar hot water, rainwater tanks and grey water recycling, along with a passive solar design and clever zoning techniques to use 50 per cent less energy and generate 50 per cent less waste than standard hostels. 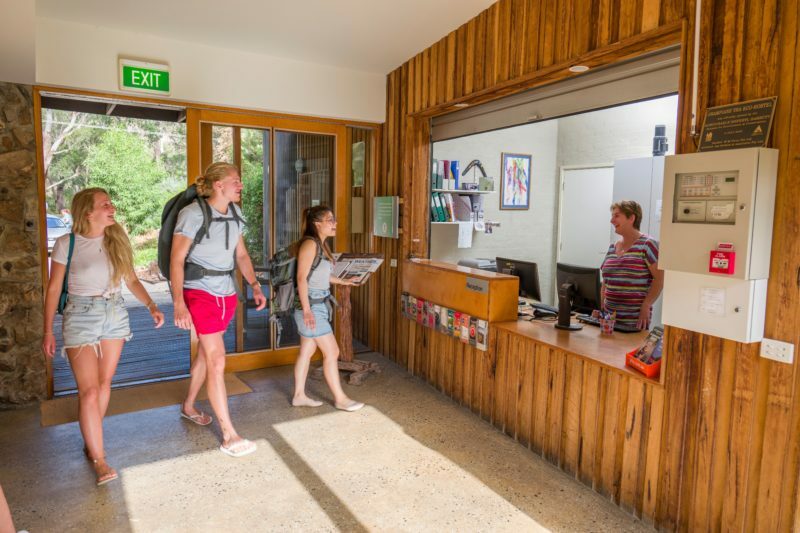 The hostel is perfectly situated for access to attractions in the Grampians National Park. 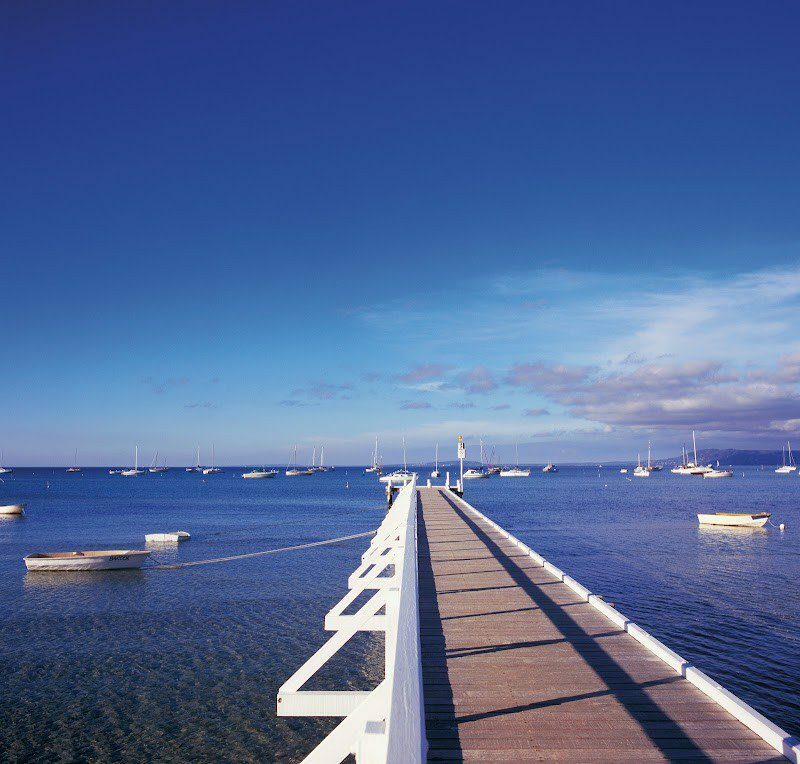 Explore Reid’s Lookout, Aboriginal rock art and waterfalls. 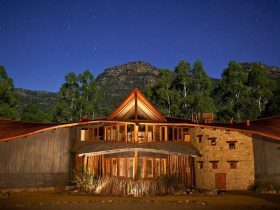 Other places of interest include the Brambuk Aboriginal Cultural Centre, which provides tours featuring insight into Aboriginal culture. Contact Grampians Eco YHA for further information. The dorm rooms can accommodate up to four people per room. The room includes two sets of bunk beds, linen, bed light, power point, heater, fan and lockers to keep your valuables safe and secure – bring your own lock. There are a variety of dorm rooms available, including female, male and mixed dorms. The double room consists of a double bed and the twin room consists of two single beds. There is a minimum of one person and maximum of two people in both room types. Both the double and the twin rooms include linen, bed lights, power point, bed side table, heater and fan. 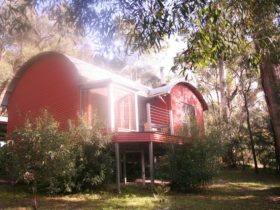 The family rooms consist of a large room with one double bed and a single set of bunk beds, perfect for a family of four looking to getaway and get back to nature. The family rooms also include linen, bed light, power point, bed side table, lockers, heater and a fan.